The Boeing E-3 Sentry is an American military airborne warning and control system (AWACS) aircraft based on the Boeing 707 that provides all-weather surveillance, command, control and communications. It is used by countries such as the United States, the United Kingdom, France, Saudi Arabia, and NATO air defense forces. It is distinguished by the disc-shaped rotodome above the fuselage. Production ended in 1992 after 68 had been built. In June 1965, the United States Air Force (USAF) asked for proposals for feasibility studies into the provision of an Airborne Early Warning and Control system to replace the Air Force's existing EC-121 Warning Stars, which served in the Airborne Early Warning role, taking advantage of improvements in radar technology which allowed airborne radars to "Look Down" and detect low flying aircraft, even over land, which would previously be undetectable due to ground clutter. 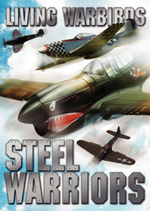 Contracts were given to Boeing, Douglas and Lockheed, with Lockheed being eliminated in July 1966. In 1967, a parallel program was put into place to develop the radar, with Westinghouse Corporation and the Hughes Aircraft Company being asked to compete to produce the radar for the new aircraft. In 1968 it was referred to as Overland Radar Technology (ORT) during development tests on the modified EC-121Q. The Westinghouse Corp.'s radar antenna was going to be used whichever company won the radar competition, since the Westinghouse Corp. had pioneered in the design of high-power RF phase-shifters. 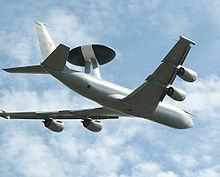 The two prototype test AWACS aircraft began flights in March 1972, and these ended in July 1972. Early Boeing proposals for an aircraft based on the Boeing 707 were powered by eight General Electric TF34 engines, or carrying its radar in a rotating rotodome mounted at the top of a forward-swept tail, above the fuselage. Boeing was selected ahead of McDonnell Douglas's proposal based on the DC-8 in July 1970. Initial orders were placed for two aircraft, designated EC-137D as test beds to evaluate the two competing radar designs. As the test-beds did not need the same 14 hour endurance demanded of the production aircraft, the EC-137s retained the normal Pratt & Whitney JT3D engines of the airliner, and a later reduction in endurance requirement led to retaining the normal engines in production. The first of the two EC-137s first flew on 9 February 1972, with the fly-off between the two radars beginning in March and continuing until July that year. As a result of these tests, Westinghouse's radar was chosen for the production aircraft. The Hughes Aircraft Company's radar was initially thought to be a sure winner, simply because much of its design was also going into the new F-15 Eagle's radar program. The Westinghouse radar used a pipelined FFT (Fast Fourier Transform) to digitally-resolve 128 Doppler frequencies, while Hughes Aircraft's radars used analog filters based on the design for the F-15 fighter. Westinghouse's engineering team won this competition by having a programmable 18-bit computer whose software could be modified before each mission, and for multiplexing a Beyond The Horizon (BTH) mode that could complement the pulse-doppler radar mode. This proved to be beneficial especially when the BTH mode is used to detect ships at sea when the radar beam is directed below the horizon. 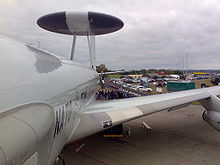 Approval was given on 26 January 1973 for full-scale development of the AWACS system, with orders being placed for three pre-production aircraft to allow further development of the aircraft's systems, with the first of these aircraft flying in February 1975. One change was that, in order to save costs, the endurance requirements were relaxed allowing the new aircraft to retain the four JT3D (US Military designation TF33) engines. IBM and Hazeltine were selected to develop the mission computer and display system. The IBM computer receiving the designation 4PI, and the software is written in JOVIAL. A SAGE or BUIC operator would immediately be at home with the track displays and tabular displays, but differences in symbology would create compatibility problems in tactical ground radar systems in Iceland, Europe and Korea over Link-11 (TADIL-A). Modifications to the Boeing 707 for the E-3 Sentry included a rotating radar dome, single-point ground refueling, air refueling, and a bail-out chute. The original design called for two bail-out chutes (one forward, and one aft) but the aft bail-out chute was deleted as a way to cut mounting costs. The use of parachutes was also deleted in the 1980s, as a way to save training and equipment costs. Since the parachutes were not issued to crew-members, but instead stored in the aft part of the plane, equipment additions left no place to store them. This also allowed the U.S. and NATO to drop the requirement for helmets which took hundreds of man-hours to inspect, repair, and maintain. A total of 68 E-3s were built by the time production ended in 1992. Electronic Support Measures (ESM) for passive detection, an electronic surveillance capability to detect and identify air and surface-based emitters. Joint Tactical Information Distribution System (JTIDS) to provide secure, anti-jam communication for information distribution, position location and identification capabilities. This system enhanced TADIL-A Link-11 with a high speed exchange of radar information. System also known as TADIL-J, or Link-16. An increase in the memory capability in the computer to accommodate JTIDS (Link-16), ESM and future enhancements. Since the Boeing 707 is no longer in production, the E-3 mission package has been fitted into the Boeing E-767 for the Japan Air Self Defense Forces. The E-10 MC2A was intended to replace the U.S. Air Force's E-3s (along with the RC-135 and the E-8), but the E-10 program was canceled by the Department of Defense. The USAF is now carrying out a series of incremental improvements, mainly to avionics, to bring the E-3 up to current standards of performance. Boeing is flight testing its block 40/45 E-3s. This modified E-3 contains upgrades of the Mission Crew section and the Air Battle Management sections, as well as significantly upgraded electronic equipment. Another program that the Air Force is considering is the "Avionics Modernization Program" (AMP). AMP would equip the E-3s with glass cockpits. The Air Force also wants modified E-3s with jet engines that are more reliable than the original ones, and also with at least 19% higher fuel efficiencies. New turbofan engines would give these E-3s longer ranges, longer time-on-station, and a shorter critical runway length. If the modification is carried out, the E-3s could take off with full fuel loads using runways with only 10,000 feet (3,000 m) long, and also at higher ambient temperatures and lower barometric pressures, such as from bases in mountainous areas. Another modification being considered while installing new engines would be to provide better visibility for the E-3s line-of-sight sensors. Now that the E-8 Joint STARS is being fitted with the new P&W JT8D-219 turbofans, which are stated as having one-half the cost of the competing engine, the CFM56, the Air Force is again studying the possibility of replacing the E-3's original turbofan engines with newer and better ones. The E-3 Sentry's airframe is a modified Boeing 707-320B Advanced commercial airframe. Modifications included a rotating radar dome, single-point ground, air-to-air refueling capability, and a bail-out chute. The unpressurized dome is 30 feet (9.1 m) in diameter, six feet (1.8 m) thick at the center, and is held 11 feet (3.4 m) above the fuselage by two struts. It is tilted down six degrees at the front to reduce its air drag during take-offs, and while flying endurance speed (which is corrected electronically by both the radar and SSR antenna phase shifters). The dome uses both bleed-air and cooling doors to remove the heat generated by electronic, electrical, and mechanical equipment. The hydraulically-rotated antenna system permits the Westinghouse Corporation's AN/APY-1 and AN/APY-2 passive electronically scanned array radar system to provide surveillance from the Earth's surface up into the stratosphere, over land or water. Other major subsystems in the E-3 Sentry are navigation, communications, and computers (data processing). Consoles display computer-processed data in graphic and tabular format on video screens. Console operators perform surveillance, identification, weapons control, battle management and communications functions. The radar and computer subsystems on the E-3 can gather and present broad and detailed battlefield information. Data is collected as events occur. This includes position and tracking information on enemy aircraft and ships, and location and status of friendly aircraft and naval vessels. The information can be sent to major command and control centers in rear areas or aboard ships. In times of crisis, data can be forwarded to the National Command Authority in the United States via RC-135 or Naval aircraft carrier task forces. Electrical generators mounted on each of the E-3's four engines provide one megawatt of electrical power that is required by the E-3's radars and other electronics, the life-support system for its crew, etc. Its pulse doppler radar has a range of more than 250 miles (400 km) for low-flying targets at its operating altitude (essentially to the radar horizon), and the pulse (BTH) beyond the horizon radar has a range of approximately 400 miles (650 km) for aerospace vehicles flying at medium to high altitudes (essentially above the radar horizon). The radar combined with an SSR subsystem thus providing a look down to detect, identify and track enemy and friendly low-flying aircraft while eliminating ground clutter returns. In support of air-to-ground operations, the E-3 can provide direct information needed for interdiction, reconnaissance, airlift and close-air support for friendly ground forces. 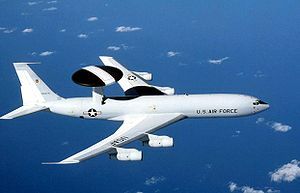 It can also provide information for commanders of air operations to gain and maintain control of the air battle, whilst as an air defense asset, E-3s can detect, identify and track airborne enemy forces far from the boundaries of the United States or NATO countries and can direct fighter-interceptor aircraft to these targets. The E-3 as equipped by the USAF and NATO, can fly without refueling for about eight hours, or around 4,000 miles (6,400 km). The newer E-3 versions bought by the British, the French, and the Saudi Arabians are equipped with newer CFM56-2 turbofan engines, and these can fly for about 10 hours or about 5,000 miles (8,000 km) without refueling. The Sentry's range and on-station time can be increased through air-to-air refueling and the crews can work in shifts by the use of an on-board crew rest and meals area. Picture - RAF Boeing E-3D Sentry AEW1 at Kemble Air Day 2008, England. The E-3 is accompanied by two Panavia Tornado F3. The Radar System Improvement Program (RSIP) was a joint U.S./NATO development program. RSIP enhances the operational capability of the E-3 radars' electronic countermeasures, and dramatically improve the system's reliability, maintainability, and availability. Essentially, this program replaced the older TTL and MECL electronic logic components that were no longer even being manufactured, with off-the-shelf digital computers. These computers being programmed in a high-level language instead of in assembly language. The real improvements came from replacing the old 8-bit FFT (Fast Fourier Transform) with 24-bit FFTs, and the 12-bit A/D (Sign + 12-bits) with a 15-bit A/D (Sign + 15-bits). These hardware and software modifications improve the E-3 radars' performance, and they provide enhanced detection with emphasis towards low radar cross-section (RCS) targets. Major advantages include: Increased range against reduced RCS targets to include cruise missiles; Improved electronic counter-countermeasures (ECCM) against current threats; Improved radar system reliability and maintainability (R&M); and an Improved radar control and maintenance panel (RCMP) with embedded test equipment. RSIP utilizes a Pulse Doppler Pulse Compression (PDPC) waveform, increases data sampling rates, increases range and velocity resolution, increases signal integration time, adds new signal processing algorithms to enhance detection sensitivity and unambiguous range determination, and improves radar set monitoring and control. RSIP is a huge leap forward in a variety of factors. It increases the ability to detect and track smaller targets at greater distances, akin to giving the radar a set of binoculars. It also improves the reliability and maintainability for the radar hardware, which decreases the number of spares and amount of down time needed for repairs. Improved control and processing algorithms tailored to current threat data enhances system electronic counter-countermeasures (ECCM) capabilities. The improved electronic counter-countermeasures mean that it will be much more difficult for any enemy force to deceive or "jam" the AWACS with false electronic signals. The RSIP program added a spectrum analyzer and digital Fast Fourier Transform (FFT) display to the Airborne Radar Technician's (ART) console with which the operator can monitor the electromagnetic spectrum in near real-time more effectively vis-a-vis the operating parameters of the radar. RSIP also vastly simplified the ART's man-machine interface to the radar system, eliminating the former hexidecimal codes used to monitor the system's performance. 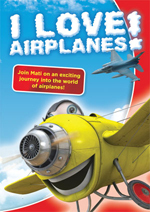 The Royal Air Force has also joined the U.S.A.F. in adding RSIP to upgrade the E-3's radars. The retrofitting of the E-3 squadrons were completed in December 2000. Along with the RSIP upgrade was installation of the Global Positioning System/Inertial Navigation Systems which dramatically improve positioning accuracy. 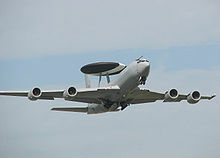 In 2002, Boeing was awarded a contract to add RSIP to the small French AWACS squadron. Installation was completed in 2006. Picture - NATO E-3s have the Coat of arms of Luxembourg and the registration LX on the tail. Engineering, test and evaluation began on the first E-3 Sentry in October 1975. In March 1977 the 552nd Airborne Warning and Control Wing (now the 552d Air Control Wing) at Tinker Air Force Base, Oklahoma received the first E-3 aircraft. The United States Air Force have a total of 32 E-3s in active service. 27 are stationed at Tinker AFB and belong to the Air Combat Command (ACC). Four are assigned to the Pacific Air Forces (PACAF) and stationed at Kadena AB, Okinawa and Elmendorf AFB, Alaska. One aircraft (TS-3) is assigned to the Boeing Aircraft Company for testing and development. NATO acquired 18 E-3As and support equipment for a NATO air defense force. 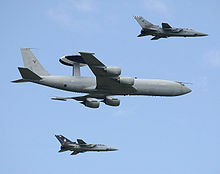 Since all aircraft must be registered with a certain country, the decision was made to register the 18 NATO AWACS planes with Luxembourg, a NATO country that until that point had not had any air force. The first NATO E-3 was delivered in January 1982. Presently 17 NATO E-3As are in the inventory, since one NATO E-3 was lost in a crash. NATO members United Kingdom and France are not part of the NATO E-3A Component, instead procuring E-3 aircraft through a joint project. The UK and France operate their E-3 aircraft independently of each other and of NATO. The UK operates seven aircraft and France operates four aircraft, all fitted with the newer CFM56-2 engines. The British requirement came about following unsatisfactory tests with modified Hawker Siddeley Nimrod aircraft to replace the Avro Shackleton AEW platform during the 1980s, with an order being placed in February 1987, deliveries starting in 1990. The other operator of the type is Saudi Arabia which operates five aircraft, all fitted with CFM56-2 engines. Japan has four Boeing E-767 aircraft equipped to similar standards. E-3 Sentry aircraft were among the first to deploy during Operation Desert Shield where they immediately established an around-the-clock radar screen to defend against Iraqi forces. During Operation Desert Storm, E-3s flew more than 400 missions and logged more than 5,000 hours of on-station time. The data collection capability of the E-3 radar and computer subsystems allowed an entire air war to be recorded for the first time in history. In addition to providing senior leadership with time-critical information on the actions of enemy forces, E-3 controllers assisted in 38 of the 40 air-to-air kills recorded during the conflict. 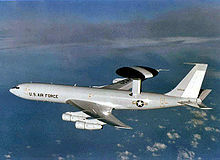 In March 1996, the US Air Force activated the 513th Air Control Group (513 ACG), an ACC-gained Air Force Reserve Command (AFRC) AWACS unit under the Reserve Associate Program. Collocated with the 552 ACW at Tinker AFB, the 513 ACG which performs similar duties on active duty E-3 aircraft shared with the 552 ACW. Two prototype AWACS aircraft with JT3D engines, one fitted with a Westinghouse Corp. radar and the other with a Hughes Aircraft Company radar. Both converted to E-3A standard with TF33 engines. These are not AWACS aircraft but CFM56 powered tankers for Saudi Arabia, eight built. Production aircraft with AN/APY-2 radar (Maritime Rack) and system improvements, nine built. NATO E-3A aircraft although not re-designated have been modified to the same equipment standard. USAF Block 40/45 modification with Airframe Modernization Program (AMP). British designation for the E-3D. North Atlantic Treaty Organization (NATO) Based in Geilenkirchen, Germany, 18 E-3 AWACS were purchased - one lost in Greece. All of these aircraft are officially registered as aircraft of Luxembourg, a NATO member with no other Air Force. Responsible for monitoring airspace for NATO operations around the world. The French Air Force purchased 4 E-3F aircraft similar to the British E-3D aircraft. All planes are assigned to the "Escadron de D�tection et de Commandement A�roport� (ECDA)" (Air detection and command squadron) and are based at Avord Air Base. Their use is combined with French naval E-2 Hawkeye aircraft. Royal Air Force purchased 6 (later increased to 7) E-3D aircraft in December 1986. 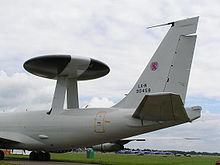 The aircraft are designated Sentry AEW.1. The United States Air Force currently has 32 E-3s operational;10 E-3Cs and 22 E-3Bs ). One E-3B was lost in a crash in 1995, One E-3C was lost in a crash in 2009. 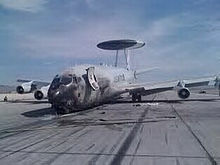 Picture - Fire-damaged USAF E-3 on Nellis AFB, NV ramp. The E-3 has been involved in 3 hull loss accidents (two USAF aircraft, one NATO aircraft). On 22 September 1995, a U.S. Air Force E-3 Sentry (Callsign Yukla 27, serial number 77-0354), crashed shortly after take off from Elmendorf AFB, Alaska. The plane lost power to both port side engines after these engines ingested several Canada Geese during takeoff. The aircraft went down in a heavily wooded area about two miles (3 km) northeast of the runway, killing all 24 crew members on board. On 14 July 1996, a NATO E-3A, LX-N90457, c/n 22852, ex-79-0457, overran runway into sea on takeoff from Preveza AFB, Preveza, Greece. The fuselage broke into two, destroying the aircraft, but no casualties among crew of 16. It allegedly suffered a birdstrike during the take off, but no evidence of birdstrike was found. On 28 August 2009, a USAF E-3C, 83-0008, was damaged while landing at Nellis Air Force Base, after experiencing a nose-wheel failure. The failure resulted in a fire that caused a reported US$100 million in damage. The accident was determined to be pilot error. On 8 September 2010, a USAF E-3B, 77-0353, was damaged while landing at Tinker Air Force Base, after experiencing a nose-wheel failure. There was no fire due to the wet runway. Davies, Ed. "AWACS Origins: Brassboard - Quest for the E-3 Radar". 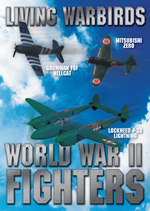 Air Enthusiast, No.119, September/October 2005. Stamford, Lincs, UK: Key Publishing. ISSN 0143-5450. pp. 2-6. Lake, Jon. "Aircraft of the RAF - Part 10 Sentry AEW.1". Air International, Vol 76 No. 2, February 2009. Stamford, Lincs, UK: Key Publishing. pp. 44-47. Taylor, John W R. (editor). Jane's All the World's Aircraft 1976-77. London: Macdonald and Jane's, 1976. 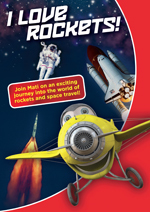 ISBN 0-354-00538-3.